We study vacuum expectation values (VEVs) of circular half BPS Wilson loops in arbitrary representations in ABJM theory. We find that those in hook representations are reduced to elementary integrations thanks to the Fermi gas formalism, which are accessible from the numerical studies similar to the partition function in the previous studies. For non-hook representations, we show that the VEVs in the grand canonical formalism can be exactly expressed as determinants of those in the hook representations. Using these facts, we can study the instanton effects of the VEVs in various representations. Our results are consistent with the worldsheet instanton effects studied from the topological string and a prescription to include the membrane instanton effects by shifting the chemical potential, which has been successful for the partition function. N. Drukker, T. Okuda and F. Passerini, Exact results for vortex loop operators in 3d supersymmetric theories, arXiv:1211.3409 [INSPIRE]. M. Honda et al., Monte Carlo studies of 3d N = 6 SCFT via localization method, PoS(LATTICE 2012)233 [arXiv:1211.6844] [INSPIRE]. D. Farquet and J. Sparks, Wilson loops and the geometry of matrix models in AdS 4 /CFT 3, arXiv:1304.0784 [INSPIRE]. A. Borodin, G. Olshanski and E. Strahov, Giambelli compatible point processes, Adv. Appl. Math. 37.2 (2006) 209 [math-ph/0505021]. G. Olshanski, A. Regev and A. Vershik, Frobenius-Schur functions, math.CO/0110077. 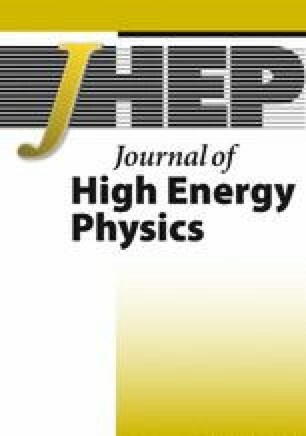 R. Dijkgraaf and C. Vafa, N = 1 supersymmetry, deconstruction and bosonic gauge theories, hep-th/0302011 [INSPIRE].